1/15/2079: The first deaths due to radiation poisoning happen, and so do the first appearances of mutated animals and Ghouls. 06/23/2080: Driven by the need of medicines, clean water or food the first pirate bands begin to form. They are mainly formed by Chinese ex/soldiers who out of spite to America and due to the language barrier became unable to access the mainland ports and trade with the locals. 1/13/2081: The Hilo State Prison manages to survive for some years until the food runs out. Without any food left the guards decide to abandon the area and leave the prisoners to rot. The prisoners, who are mostly composed of Chinese Spies, American rioters and Hippies of all nationalities start to despair but are then saved when a leader forms among them. 1/15/2081: The prisoners of the Hilo State Prison guided by Kunuiakea, their leader, unite and manage to break out. They discover that the outside world has been completely bombed and is now a radioactive wasteland filled with mutated beasts. They explore the prison in the search of resources and on the basement find several vats full of FEV and terminals with information and logs about the experimentation that took place there and the attempt of the US Army at creating super soldiers to fight in the War. 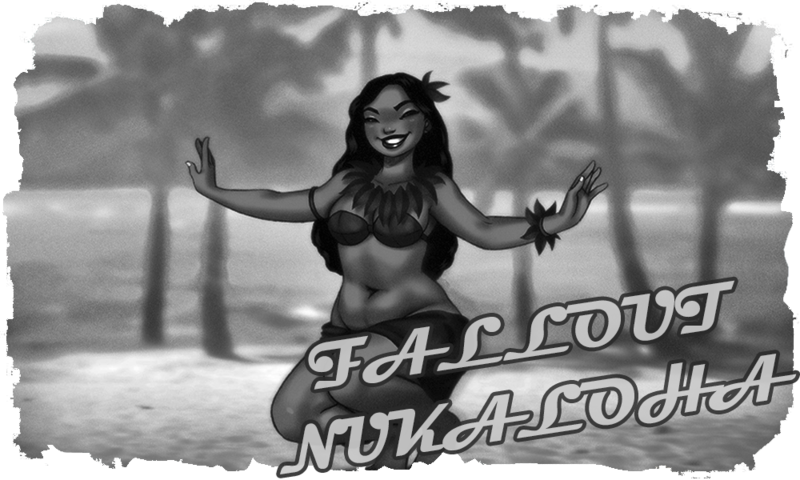 Kunuiakea offers the prisoners a deal: Leaving the prison to go and die on the wasteland or reactivate the experimentation to become Super-Mutants and have a chance at thriving. Most of the prisoners join him and the experimentation begins with a surprisingly high success rate. He becomes the first and oldest of the mutants of Hawaii and soon the High Evolutionary faction is formed. 7/12/2082: Kunuiakea decides to keep his warriors inside the island of Hawaii to turn the prison into a fortress and discover the secrets of the Forced Evolutionary Virus. People from other islands are completely unaware of the Super-Mutant menace. 4/13/2083: While in most of the islands raider bands have formed a group of wastelanders from Maui decide to gain an honest living by acting as couriers and sending messages and small packages across different settlements. They soon grow in size and power and become the Sons of Kanaloa. 7/22/2087: While exploring for new locations and trading routes the Sons of Kanaloa manage to discover some Pre-War blueprints that depict some military experimental drones that never reached production status. 3/27/2090: Several people begin to disappear all across the Hawaiian archipelago. The disappearances continued on without a clear motive or intent of stopping. People, especially the ones who live in small and weak settlements start becoming paranoid and superstitious. Rumors are that it is caused by angry cannibal spirits that became trapped and unable to cross to the other side after the bombs fell. 7/3/2115: The High Evolutionary thanks to their Super-Mutant physiques manages to easily invade and dominate all the tribes of the big island of Hawaii. They start their rule and spread the word of Kunuiakea and how if they are strong they might become Super-Mutants like them. With his iron fist he crushes all who oppose him and assures that only the most violent and warlike societies remain on the island. 12/12/2122: After many years of trial and error The Sons of Kanaloa manage to successfully build the drones and quickly put them in service. Soon people can quick and safely send messages and packages all across the islands. As people become more connected the mercantile travel improves; life quality goes up and settlements grow. The Sons of Kanaloa become rich and one of the most powerful and popular factions. They start buying ports and garages, becoming pretty much the only ones who can repair, sell and build ships and planes. 10/31/2126: Someone settles in one of the many abandoned military outposts that are located in Oahu. From there it turns the local communications relay into a radio and starts emitting music. The DJ names itself Rainbow Jack and starts emitting music from before the war to the entirety of Hawaii. 2/27/2130: The Great Winter starts, the entire planet is covered in snow, greatly reducing the global population and killing countless of people. In Hawaii this goes as far as freezing parts of the sea, creating ice bridges that connected some of the islands. Several Raiders and Wasteland Critters see this as an opportunity to reach other islands with ease. Their raids and attacks further reduce the local population turning most of the newly founded settlements into ghost towns. 11/12/2130: Kunuiakea manages to turn the old Hilo prison into a fortress. Desperate by the Great Winter many local tribes and wastelanders from the big island of Hawaii take refugee inside and are forcefully turned into Super-Mutants. He starts to notice that not everybody evolved perfectly like him, that some mutated horribly or became irreversibly psychotic. Instead of believing that this was due to the mutated DNA of the new test subjects he thinks that their souls lacked strength and that the ones that evolved correctly were chosen ones. Soon the High Evolutionary becomes a fully fledged religious cult that revolves around Kunuiakea as a messiah and the first member of the next step of human evolution. 5/5/2132: All the derelict and downed ships, airplanes and submarines start being dragged by the sea currents and fused into a single mountain of scrap and debris. Pirates start to dock in there and discover that some of the vehicle’s nuclear engines are still functional and can be turned into energy generators. Soon the entire area is named Old World Mourn and becomes a massive pirate city, where all the criminals and scum of Hawaii can settle and find work or a crew to join. 8/11/2135: The Great Winter Ends. The ecosystem slowly manages to recover and the sea melts again. 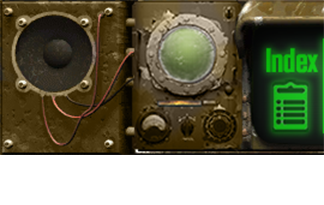 12/12/2137: The first psykers start to appear, most of them are killed due to their odd appearances or because they cannot control their powers. 11/15/2147: Since the new generations of humans are born with the mutated airbone FEV integrated in their DNA their chances of correctly evolving into sane and healthy Super-Mutants is incredibly low. After discovering this Kunuiakea, the leader of the High Evolutionary faction of Super-Mutants, decides to end their isolation and send small raiding parties into the search of Vaults to find humans that haven’t been exposed to the airbone FEV. 5/3/2155: The local populations of the Hawaiian Wasteland, in an attempt at creating a better way of communication between the several nationalities that are living on the islands forge a new language, the Kaiolelo; a language that mixes Mandarin, Japanese, American English and Native Hawaiian. It will take several decades until it extends and becomes popular. 2/25/2168: Thanks to the improvements in life quality and communications the people who live in the ruins of Honolulu decide to unite under the same flag. With the attempt at better repelling pirate and raider attacks and defending the people from the mutant abominations that roam around they unite, create a government and decide to expand across the entire island of Oahu. 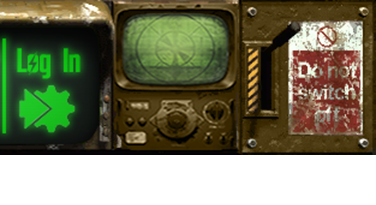 Their ideals of becoming similar to the Old World and attempts of improving the wasteland attract many people to their cause. 3/27/2179: The settlers of Oahu rename the ruins of the capital as New Honolulu and start rebuilding the derelict skyscrapers and buildings. Soon the area becomes a mix of repaired and newly built buildings that truly resembles a city and the most important hub of traders, prospectors and adventurers in all of Hawaii. They form a government and create the country of Ohana.